Unlimited models of BJDs generally come in a narrow range of skin tones from white to various light flesh tones. Making a doll with a darker tone is more difficult, and as a result, most dolls that are tan to brown are limited dolls and generally more expensive. The process for making these dolls is a far more complicated procedure. In order to make resin dark tan or brown, pigment is added to resin. The pigment can effect how the resin cures. To limit the curing problems, doll manufacturers instead apply the tan color only to the outer layer of the doll. They do this by coating only the surface of the doll molds with the heavily pigmented mixture. Then they make the parts thicker by using the normal light pigment. When the parts are removed from the mold, the surface or outer skin of the doll is dark pigmented, and the inner core is light resin. This is tricky to do, and many dolls cast this way are flawed and can’t be sold. As a result, with the additional time taken to make a tan doll, and the number of parts that are disposed of as unusable, the cost of making the dolls becomes much greater. Even the dolls that are sold may have minor flaws and the manufacturers point these out in advance. There may be a marblizing color on the torso or limbs from the light resin showing through the dark in spots. Another important issue for some collectors are the mold lines, formed when a doll is cast. Some collectors greatly dislike these. On a light colored doll, these can be removed by sanding the resin. On a tan doll, this is impossible to do as it will remove the dark surface color and expose the light resin underneath in an unsightly way. If a collector simply can’t have dolls with seam lines, tan dolls should be avoided. Despite the difficulties making darker skinned dolls and the extra cost involved, many companies still make new editions and many collectors seek them out. Why? Because many are breathtakingly beautiful. From sun-kissed, to bronze to deep chocolate, these dolls really stand out! The doll makers continue to experiment with the limits of resin. Early tan dolls tended to be orange in tone, but currently the coloring of these dolls has become increasingly sophisticated. Perhaps someday the limitations to the process will be minimized or overcome and more of these dolls can be made available to collectors. Below are some examples of tan dolls in a variety of shades. Iple House: has created some of the most stunning examples of tan dolls. From honey to chocolate, the tanning technique is pushed to the limit. 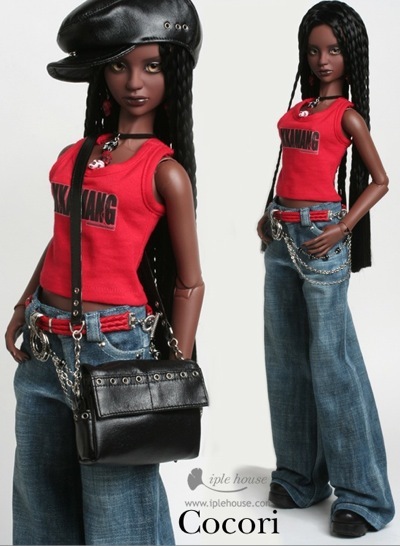 Cocori had THE best selection of dark-skinned dolls… at the most affordable price, comparatively speaking. Unfortunately, they’ve sold out of ALL their models. I’m afraid you would have to write Iple House and ask if they plan a new run of Cocori in the future. Unfortunately, they tend to limit the releases due to the difficulty involved in making them and the cost. You may be able to find one used. If you aren’t on the Den of Angels Forum, register there. You can’t use the market place until you have been on for a specified amount of time and made about 40 posts, but their marketplace is your best chance of finding Corori used. Thanks for pointing that out for those interested in getting her! At the time the article was written, she wasn’t available as a basic. 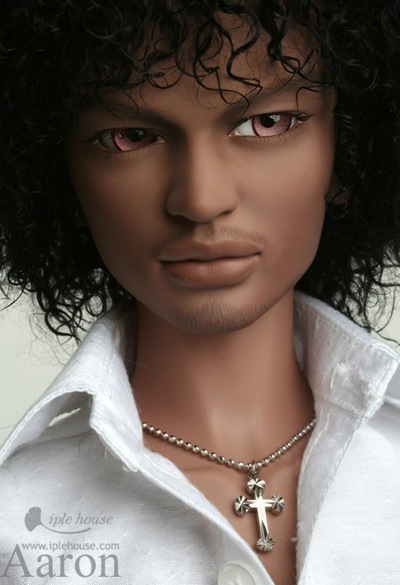 Right now they also have the new Noctarcana Circus member Kamau Limited doll. He’s amazing looking! OMG I totally forgot about this! I guess I just gotta do it or don’t! Thanks again for everyone’s replies due to my one comment~! ammendment: just checked out Iple now… SOLD OUT AGAIN! they’ve got a lt cocori “swan like odile”…. but im not a fan of the light… i like the dark, i feel like if i got that, i could do a little more w/ it in terms of bright make-up and accessories etc. The company stopped making dark tan dolls over the summer due to humidity, but they will be offering the dolls again.